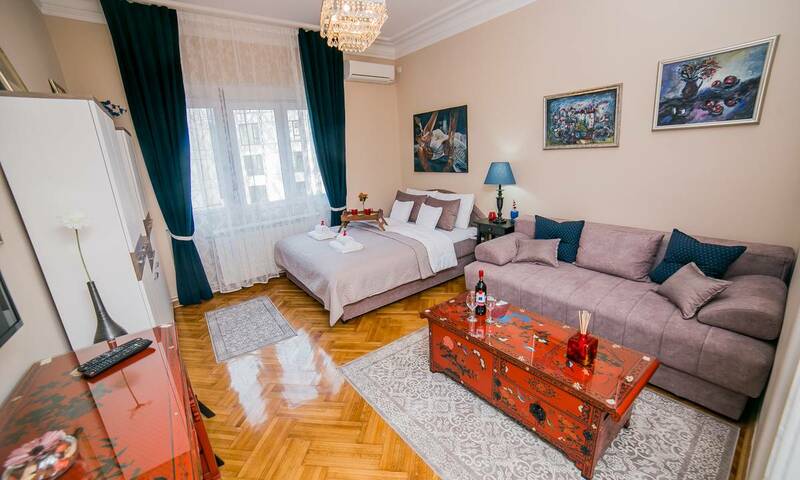 In Njegoseva street, probably the most charming street in Vracar, you can find our new apartment Salon. 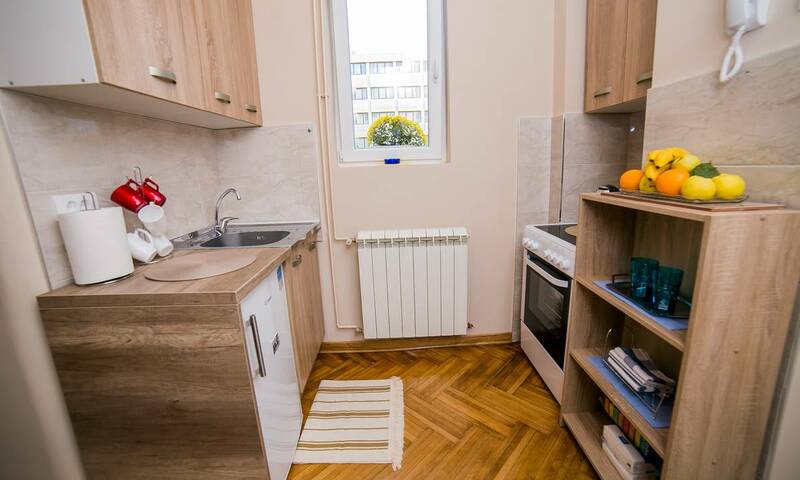 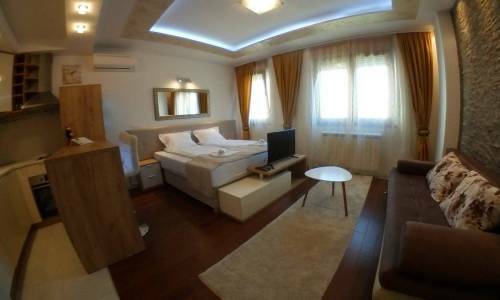 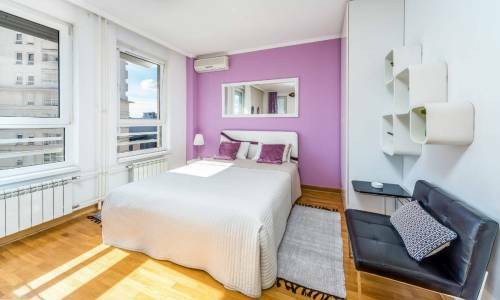 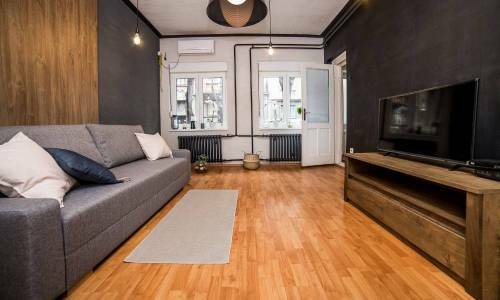 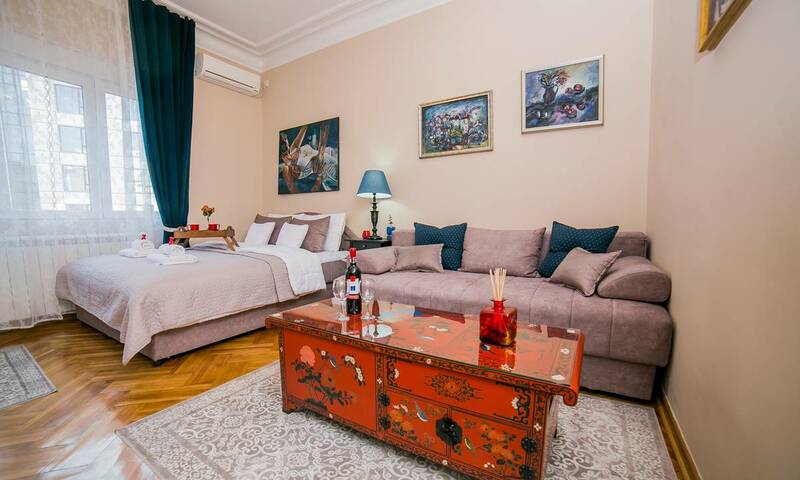 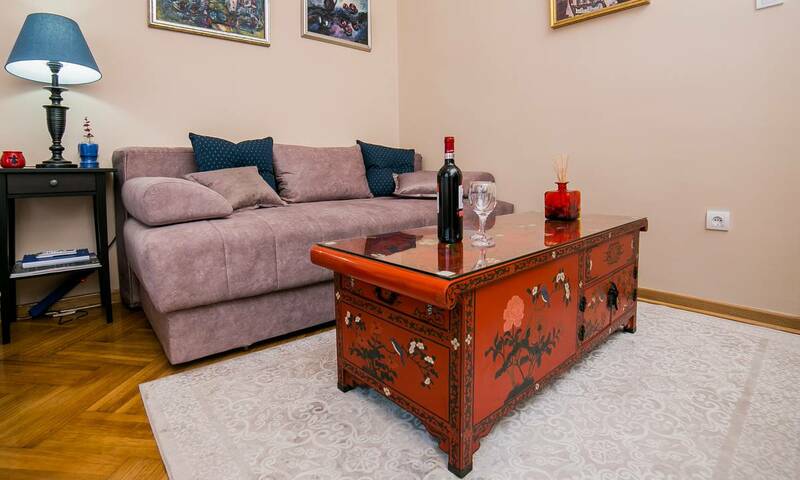 The location is superb as the Slavija Square is at hand, and Terazije street is only 7 minutes away on foot. 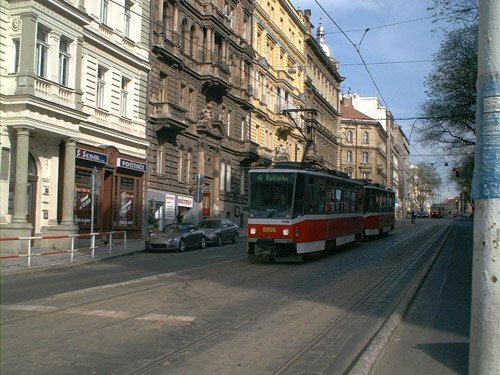 If you head to St Sava Temple, the Clinical Centre or Kralja Aleksandra Boulevard, you'll get there in no time. 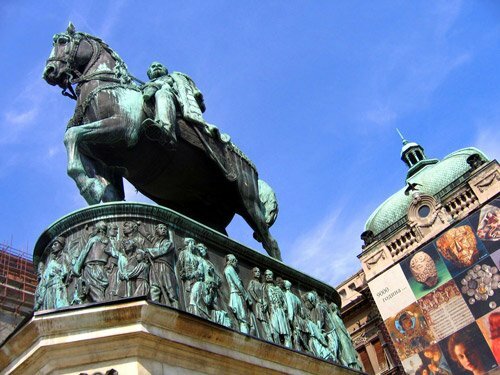 Njegoseva street is packed with fine restaurants and cafes so you'll be able to taste and feel Belgrade in the most perfect way. 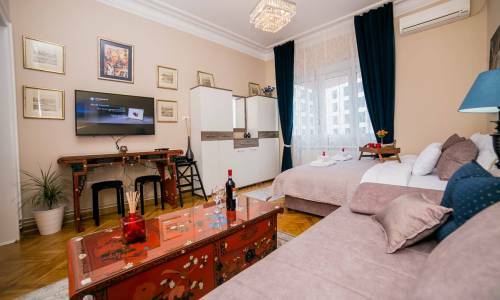 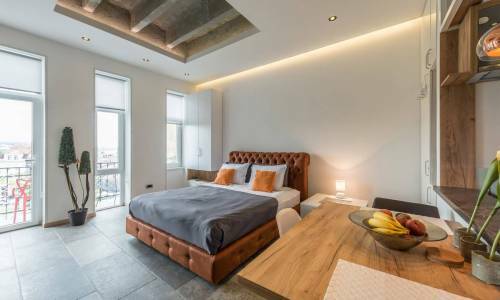 Apartment Salon is a saloon-type apartment with 3m high ceilings and was entirely refurbished in September 2017. 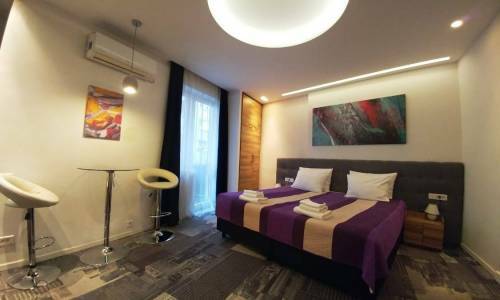 It's ideal for two, however, the other bed can be folded-out, so it can accommodate 4 persons. 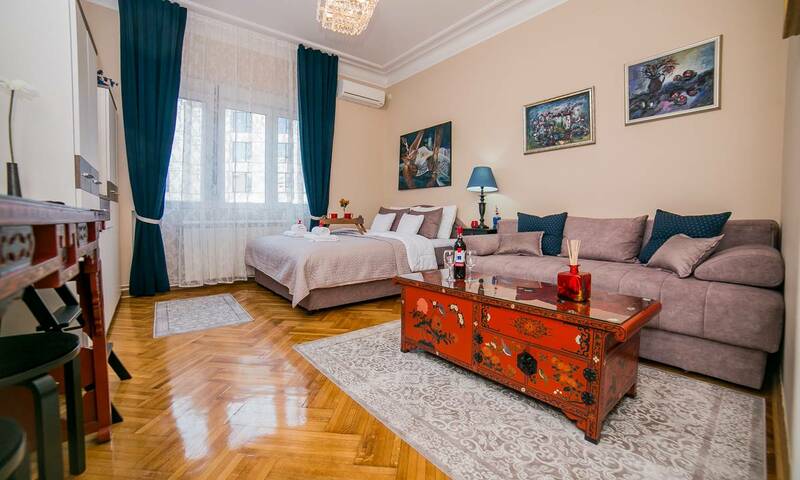 The furniture suggests plenty of style and taste, with crystal chandeliers and artistic paintings being some of the details. 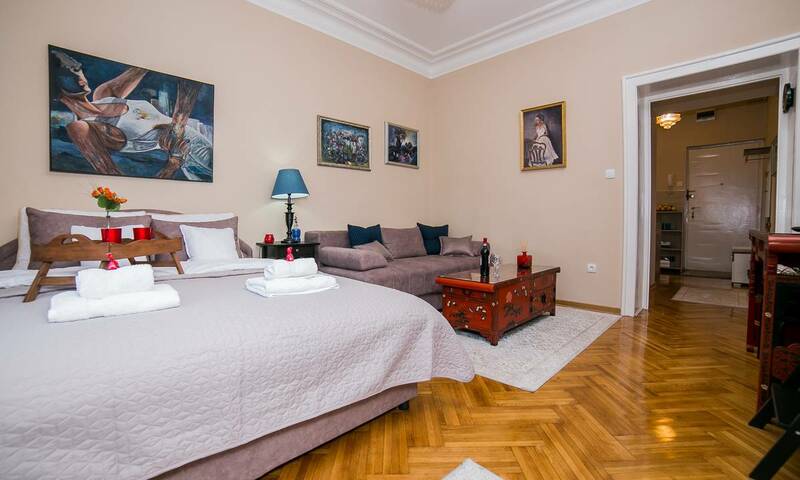 The price depends on the number of guests, so do check the price list carefully. 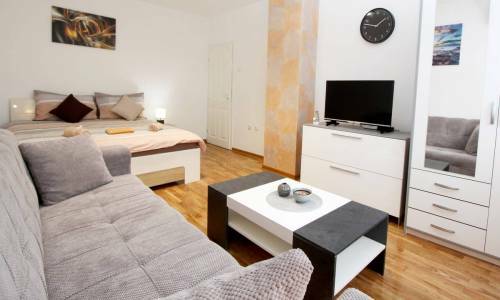 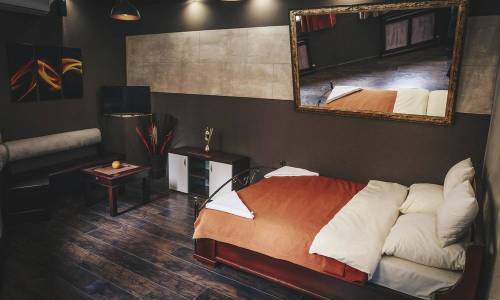 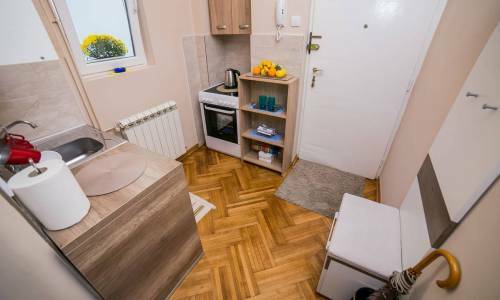 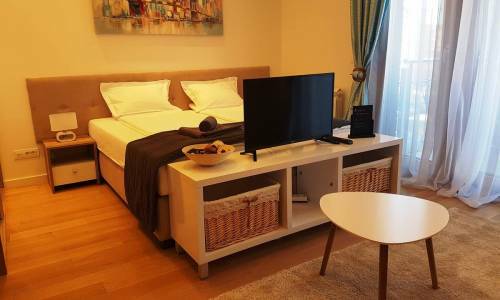 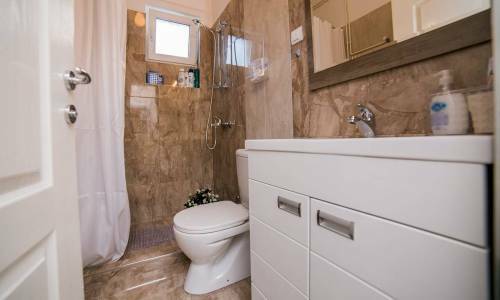 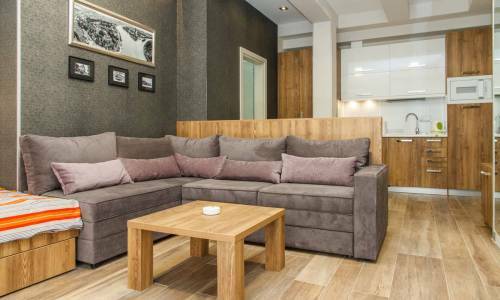 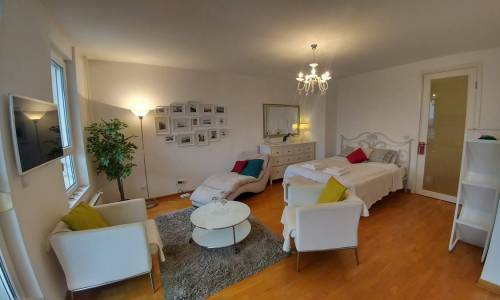 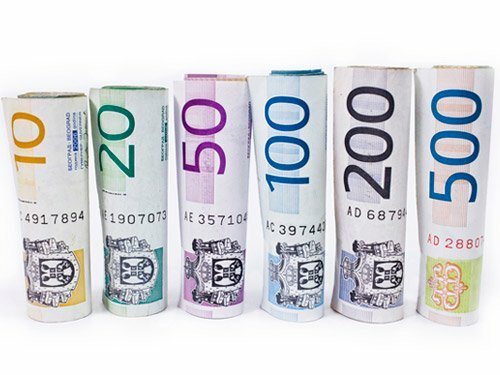 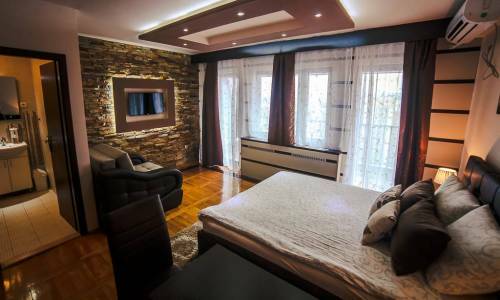 The longer you stay, the lower the price will be, and for example, for 11 nights and more, apartment Salon for two persons may cost 25 eur, which is a fantastic deal for this kind of apartment. 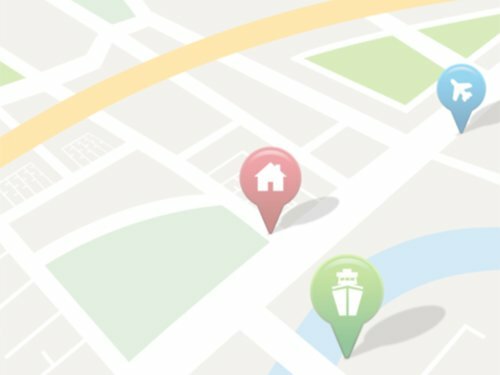 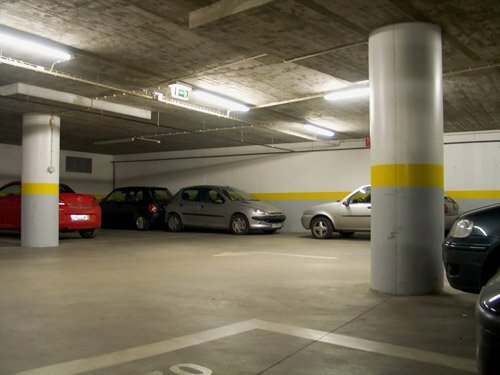 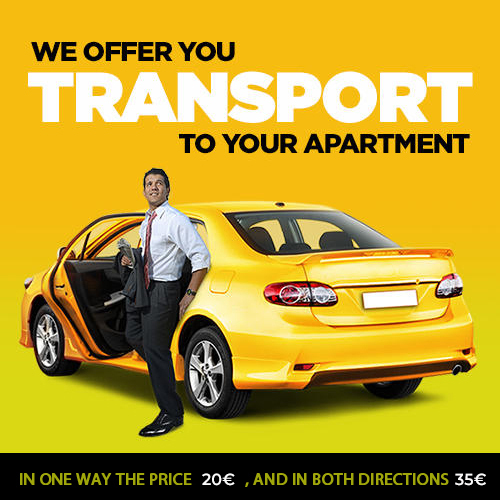 If you're arriving by car, you can park in public garages at the Slavija Square or Masarikova street public garage.